WASHINGTON—President Trump has waved au revoir to the groundbreaking Paris Climate Accord. His administration has scrubbed references to climate change from federal government Web sites. And the heads of EPA and Interior are intent on gutting regulations designed to curb emissions of carbon dioxide and other heat-trapping gases. Still, however, a recent university survey indicates that a majority of the pesky American public seems determined not to drink the anti-green Kool-Aid being dispensed from 1600 Pennsylvania Ave.
Seventy percent of U.S. adults say global warming is happening and 58 percent understand humans are causing most of it, according to Climate Change in the American Mind, a report released this month by climate change communication programs at both Yale and George Mason universities. Those results have barely budged November 2008 when the two universities first paired up to poll a cross-section of residents on all aspects of global warming. Former Illinois Sen. Barack Obama was elected president that same month. Back in 2008, 71 percent of those polled said global warming was happening and 57 percent said humans were causing it. So, why hasn’t the needle budged much in the last nine years? Actually, it has. Numbers have slowly rebounded to 2008 levels after tumbling to low points in 2010, explains George Mason professor Edward Maibach, one of the report’s five investigators. 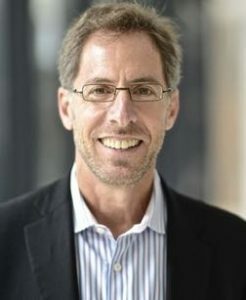 Professor Edward Maibach is one of five principal investigators who compiled the newest Climate Change in the American Mind report. Those nadirs were reached after the 2009 passage of a cap-and-trade bill by the U.S. House fanned a fiery climate-denial campaign. Now, Maibach credits citizens for paying attention to the science even when Trump and his Cabinet peddle climate skepticism. “The public continues to get smarter about the issue even though the president is attempting to confuse us,” the Virginia-based professor tells Renewal News. Despite that bump, Maibach called it “alarming” that the most current poll revealed that only 13 percent of respondents are aware that upward of 90 percent of all climate scientists agree that man-made climate change is happening. He also attributed that disconnect to a two-decade misinformation campaign orchestrated mainly by the fossil fuel industry and many GOP politicians. For the latest poll, researchers interviewed a cross-section of 1,266 U.S. adults between May 18 and June 6. Roughly three-quarters had education beyond high school. The Energy Foundation, the 11th Hour Project, the Grantham Foundation and the MacArthur Foundation provided funding for the research. A bit more on demographics: The male-female split was about even. Geographically, 252 respondents were Northeasterners, 286 were Midwesterners, 418 were Southerners and 310 were Westerners. A majority of the respondents, 932, were white. Feedback also came from 126 Hispanics, 123 African Americans and 85 “other non-Hispanics.” The age breakdown included 281 millennials (18-36), 268 generation Xers (37-52), 549 baby boomers (53-71) and 168 older than 72. The average margin of error is plus or minus 3 percentage points. Climate Change in the American Mind is chock full of an assortment of other nuggets. However, only 35 percent of the respondents said global warming is harming U.S. citizens “right now.” That’s about in line with the 40 percent who said they had personally experienced the effects of climate change. Most Americans aren’t grasping the here and now of climate change. Those polled viewed it as a distant and geographically far-away threat that is more likely to harm future generations of people, plants and animal species, the Earth, people in developing countries or the world’s poor. Correspondingly and confusingly, they are less likely to think climate change will harm U.S. residents, their own grandchildren or children, community members, their family or members of their extended family living abroad. Humans have a natural tendency to think that calamities such as climate change, auto accidents and house fires are more likely to hurt “other people,” Maibach says. But he also points out that most respondents claim that news outlets undercover climate change. On a final note, 78 percent of those polled agreed that schools should teach children about the causes, consequences and potential solutions to climate change. But they didn’t express much faith that political leaders – or their fellow Americans – would pitch in to halt carbon pollution. About 48 percent said change was possible, but it is unclear if the country would do what was necessary. Another 24 percent said we’re doomed because people are unwilling to change their behavior. How many are optimistic that humans will act to halt climate change?